I heard a story today that demonstrates how the Holy Spirit can guide and direct our lives if we are willing to learn to really “listen to the still small voice within.” It was told to me by my friend and priest, Father Walter Szczesny, pastor at All Saints Catholic Church in Lockport, New York. During the past six months I have gotten to know Fr Walter quite well as he graciously delivers communion to me each month. During each visit he always stays for a chat, allowing us to get to know each other better. Father has had an amazing life, holding numerous positions of responsibility in cities and towns throughout the USA. From working at the Batavia Children’s School for the Blind to serving as a counselor and tutor at a Catholic Orphanage in Rosemead, California, Walter has had opportunities to “shepherd” a wide variety of people – both young and old. I have come to treasure our monthly conversations as I realize I am in the Presence of a sincere, philosophical, and TRUE servant of God. In 1990, Father Walter was serving as a parish Priest at Immaculate Conception Church in East Aurora, NY. One morning he had been called to Millard Fillmore Hospital at Gates Circle, in Buffalo, New York, to administer to one of his parishioners who had been in an accident. Then he was totally silent. A chill ran through the priest’s entire body. He thought to himself, I will never understand the intense feelings I always experience when I administer Extreme Unction. This moment is such a powerful one. The person often knows he is dying, and realizes I am there to prepare him to meet his God! It just might be the most important moment in that person’s life. 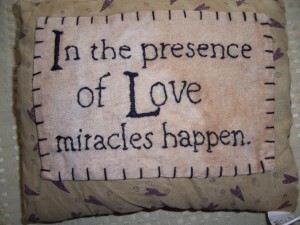 My desire is that he receives what he needs – that God uses me to help the person prepare for this moment of transition. However, nothing in my training prepared me for the intense feelings I sometimes experience. Dealing with these feelings as they occur can be challenging. I guess you might call it on the job training. 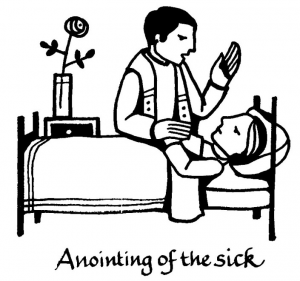 Extreme Unction, also called Anointing of the Sick, is one of the seven sacraments of the Catholic Church. Unction means anointing with oil (part of the sacrament), and extreme refers to the fact that this sacrament was given in extremity — or when the person to whom it was being administered was in danger of dying. Because of advances in medicine during the 20th century, many of our sick and injured today recover or at least go into remission; therefore, Catholics can receive this sacrament multiple times now. For the elderly, or people who suffer from chronic illness and pain, this sacrament can and should be given often. The sacredness and restorative power of the anointing have even resulted in spontaneous cures. Whenever Fr Walter performed this rite, he felt a deep sense of humility and gratitude. Mostly he was thankful for a calling where he could truly make a difference in the lives of other. He felt blessed. As he looked down at the man on the gurney, so desperately in need of care and comfort, a big smile spread across Walter’s face. He remembered the doctor had told him the man, John Wozniak, was Polish just like Fr Walter. He immediately felt a bond with him, the deep bond of nationality. There was no response whatsoever. The patient seemed to be unconscious – his eyes closed – showing no recognition of what was happening around him. Again, there was NO response from the dying patient. As Father Walter ended his short prayer, he felt a chill run through his body. He absolutely KNEW God was present for both him and John. He had an idea – an inspired one. As he finished his speech he looked down. John’s eyes opened suddenly – a look of understanding swept across John’s face. He was definitely aware of what was happening! It was like a miracle. When Fr Walter saw this he began repeating the Lord’s Prayer in Polish. Janek immediately joined Father Walter repeating this powerful prayer. The energy of Walter and Janek’s prayer was intense – commanding, yet beautiful. It was so strong that the emergency room doctor felt it. Not only felt it, but it forced him to look up and walk over to where Father Walter was administering to the dying man. The doctor could not believe what his eyes were showing him. Janek was indeed dying. It was obvious he knew this. But his face showed no fear – only peace – only joy. Janek Vosniak’s eyes filled with tears – tears of JOY – not sadness. “Yes, Father, absolutely YES! I do hear him, and I AM ready to meet my Lord and Savior – Jesus Christ. 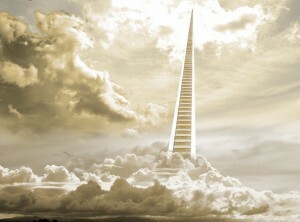 I AM ready to meet my God.” Suddenly a powerful light filled the room. The feeling of PEACE was everywhere. «You are just momentarily asleep and dreaming, sometimes horrific dreams.